How can an individual invest in an IPO? By participating in an IPO, an investor can buy shares before they are available to the general public in the stock market. 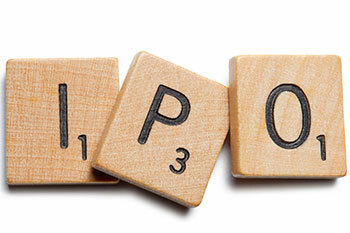 However, in case of an IPO, an investor will have to buy shares directly from the companies. For any company, IPO launch is one of the biggest events in its history. The company puts in maximum efforts to ensure that the IPO launch is a success. They spend heavily on advertisements in maximum possible available media platforms. A sizeable number of invenstors get informed about an IPO launch from advertisements or other media formats. Most of the activities are to purely promote the upcoming IPO and do not offer the complete picture. So as an investor before you opt for any IPO, it is imperative that you acquaint yourself with important information regarding company, financials, expansion plans and more. Aspiring investors need to fill up the application form that is available with brokers or agents who sell mutual funds. These application forms are free of cost. When you fill up the form ensure that the details are legible and accurate. Also, attach a cheque for the amount of shares you wish to buy. There is always a minimum number of shares you have to buy, which is as defined by the company. Following the mentioned activities, submit the form with the mentioned timeframe. You can also apply for an IPO online through ASBA (Applications Supported by Blocked Amount). SEBI developed this process to leverage online option. Through ASBA, investors’ money doesn’t get debited till shares are allotted. In addition, investor can login to their respective netbanking account and apply for IPOs directly. Do remember, a lot of companies launch its IPO; however, it is not necessary that it will perform well. It is therefore imperative to thoroughly check and evaluate a company, its financials, its future plans before investing in its IPO. If you blindly invest there is probability that you will end up with losses.